Just more than a month ago, I met a gal named Lucie. And my sewing machine met a can of air duster. This is me, not Lucie. But I am wearing a shirt from her shop. Lucie was getting ready to launch an online shop for plus-size clothing. My sister was doing some fit-modeling for her and found out that Lucie needed a sewer ASAP. I am no seamstress extraordinaire but the job was simple. Stitch in some labels. And it pays nice, too — just in time for Christmas. Since the clothing was finished, the labels often had to be sewn over seams. But the raw look worked very well for her designs. The label and lace is soft against the skin, too. I learned a couple things early on. First, sewing machines work much nicer after getting dusted and oiled. And hey, look at all the different needle sizes for different fabrics! That was pretty nifty. Second, I am a size 1x. I knew I was fitting into women's XL for some brands these days but didn't know that XL often equaled 1x in plus size. The second lesson proved to be a bonus because Lucie needed a fit model for that size. So the hours added up and overflowed into the new year. I'm no model but that's ok. Fit modeling isn't for the camera. This is how Lucie decides if size labels need to be adjusted and what to write on the descriptions. 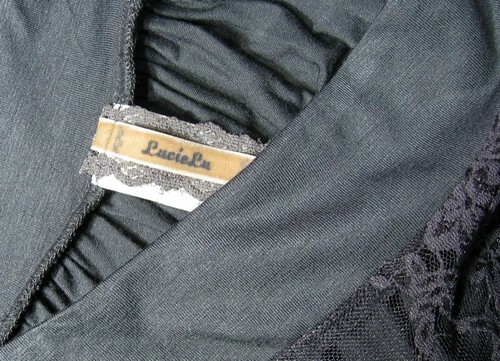 With 10 years of experience in plus-size fashion, Lucie is opening a new online shop at http://lucielu.com. 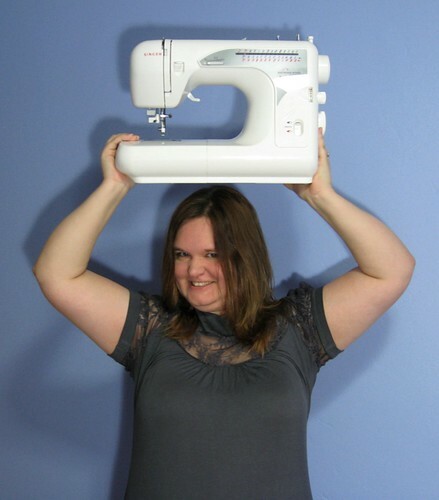 Her clothes are not the typical frumpy fashion you've seen before for plus sizes. These boutique styles fit all the right curves — and your budget. 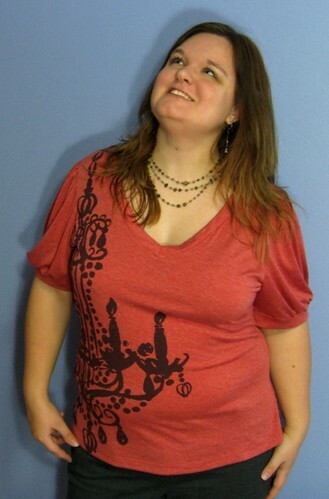 I recently wore the Romantica tee out and was showered with compliments. 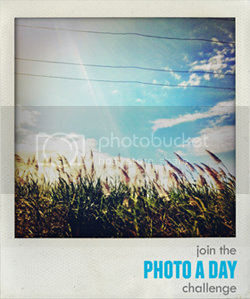 It's worth a peek so click the link!